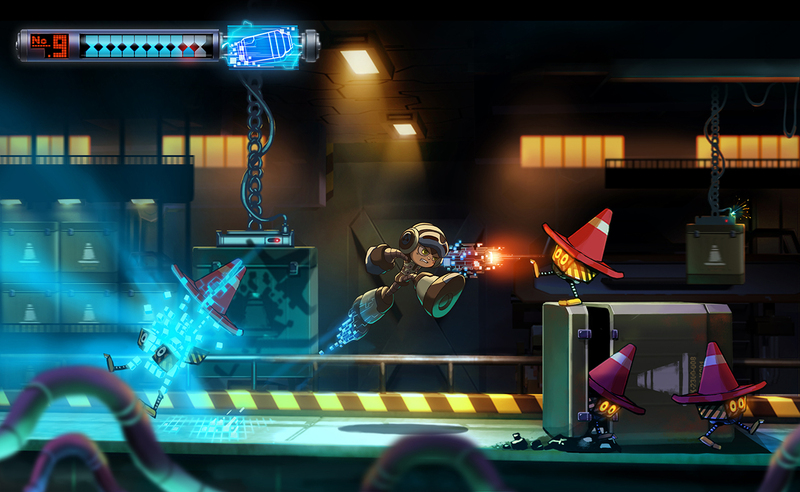 Deep Silver has preleased a new 60fps trailer of the action-platormer from Keiji Inafune and his studio Comcept. Mighty No. 9 will be available on September 15th for PC, PS4, PS3, Xbox One, 360 and Wii U. Vita and 3DS versions will be out later and the game supports cross-buy for Sony consoles. Developers SJW girlfriend gets involved. She's not a dev. Doesn't like the game. Doesn't even play games. Starts trying to change character to suit her warped version of feminism. (that looked exactly like her). (Keep in mind only backers can access the forum. A backing "prize"). Banned paying backers from getting game updates. Tells backers to go F themselves when they ask for money back. Does not return backers money through Kickstarter/Paypal. Backers use last resort option - cancel the changes through bank. She finally "leaves" and insists she was not "fired". So you are saying that we should not play a videogame because a developers girlfriend had some opinions about gender equality that made you uncomfortable, despite the fact that the game remains unchanged from it's original vision. HAH! That's never going to happen. I'm saying a poor company/thieves should not be rewarded. They stood by and did nothing, tried to hide all the banning of PAYING backers until it was too late. This game literally exists because of the backers. They don't care about you. Keiji Inafune is a business man, not a creator, he just wants money and will steal it if necessary. But a fool and their money are soon parted. So surprising to see you here, Mr Mature. Wow... Yes do grow up. Looks like a cheap 10 bucks XBLA/PSN title now, which i wouldn't even want to play if someone gifted it to me, just lame. And to think 2800 folks backed this with 250$ ROFL. We need moar Children of Light, Rayman's and Ori's, not this cheap crap. Wow , that screen-shot looks awesome as hell. Shame they did not keep the graphics that way. Agreed. They should have hired people to make the game's visual art style just like that image. Which would be very close to Ori and the Blind Forest's visual art style. Totally missed opportunity, since if the game sold as well as OatBF, it would have given them tons of money. OatBF made a paid itself back and made a profit in the first week. 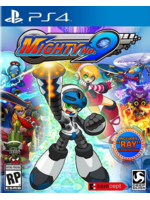 After Yaiba (Ninja Gaiden Z) and this, both Keiji Inafune and Comcept have lost all their credibility. Concept art... target render... screenshot... makes no difference. They're still miles away from what they teased. Worked well enough to lure 67000 clueless ppl in though. If i were Keiji i'd be ashamed, ashamed for such a half-assed try. Dust Elysian tail puts this to shame and that game was crafted single-handedly. Concept art... target render... screenshot... makes no difference. I'm not really crazy about the look of the game either, but there appears to be some difference. Nobody said it was a in-game screenshot, but you made a valid point. I also think that visually it looks disappointingly bland and liefeless. Hoped the visuals would improve during development but almost nothing has changed since the first demo (abating my hope for any relevant gameplay changes as well). It also seemed odd when they released Gunvolt, with it looking much more like what you would have expected from MNo9 after looking at the screenshot SplitTongue linked. I know that this probably wouldn't have worked for multiple resolutions. Still the game could look a lot better than this. Looks and plays solid but nothing more.